Roll up, roll up! 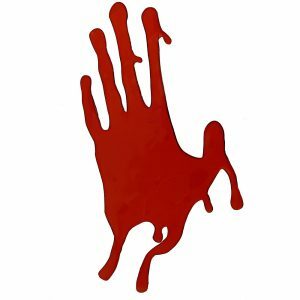 Ladies and gentleman, boys and ghouls – it’s time for the biggest spooktacular of the year: a terrifically terrifying, frightfully fun and petrifyingly perfect Halloween party! Invite your most frightening friends and family, put out your scariest snacks and decorate your very own spooky lair. You can transform your home into a haunted house from just £1. Take a look at the video below for some great ideas. 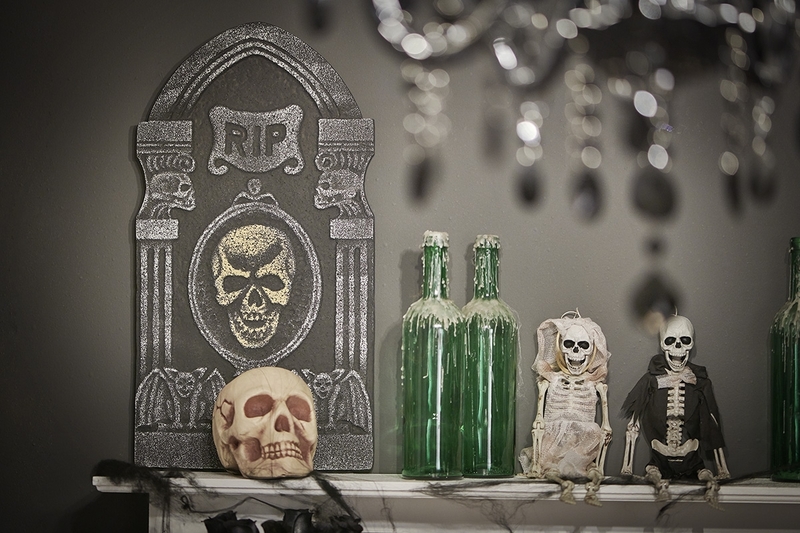 To create the spookiest atmosphere, sit large props in each room in your home. These animated props are sure to attract everyone’s attention, or make them jump out of their skin! Find all animated props here. 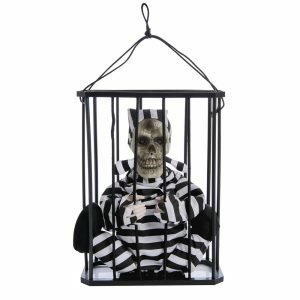 This animated prisoner is guaranteed to fright! Press the button and he comes to life, poking his head through the bars and saying creepy things to catch your attention. 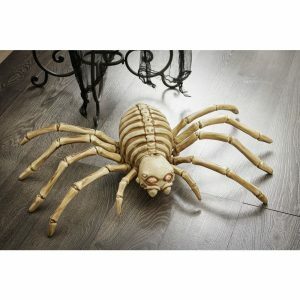 Being sound-activated, this spooky spider will scare anyone unfortunate enough to walk past! After the spider detects someone moving past its eye will light up as it makes creepy sounds. With the large props sorted, it’s time to concentrate on garlands, door decorations and spooky animal decorations – after all Halloween isn’t Halloween without a hanging spider! Check out our favourites below, and find all Halloween decorations here. 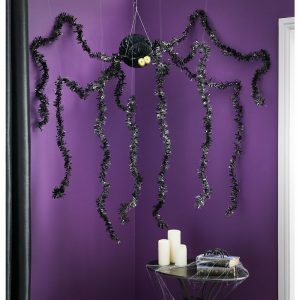 Make it a fright to remember with our Giant Tinsel Spider decoration. 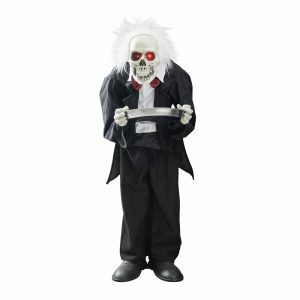 Being seven metres wide, it’s sure to spook out guests at your Halloween party. 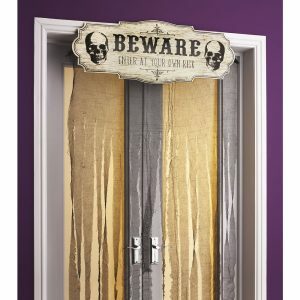 Make your home look super scary with our gruesomely ghoulish graveyard door curtain! It’s 1.4 metres tall and 1 metre wide. 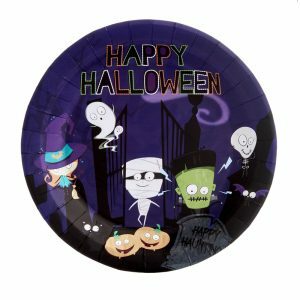 Serve up spooky treats with our Happy Halloween Paper Plates. This pack of eight paper plates is perfect for Halloween parties. Serve up spooky potions with our Halloween Paper Cups. 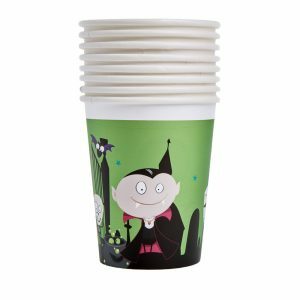 This pack of eight paper cups is perfect for Halloween parties. 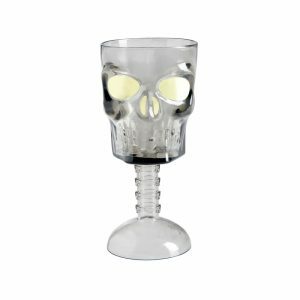 This creepy goblet is ideal for serving up colourful potions. The stem of the glass is made to look like the top of the spine! 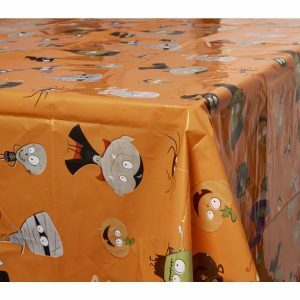 Our Spooky Table Cloth is filled with the characters from this range to complete your decorations and make it a fright to remember. Visit our online Halloween section for more petrifying partyware, and everything you need to throw the perfect party, or simply pop to your nearest store.